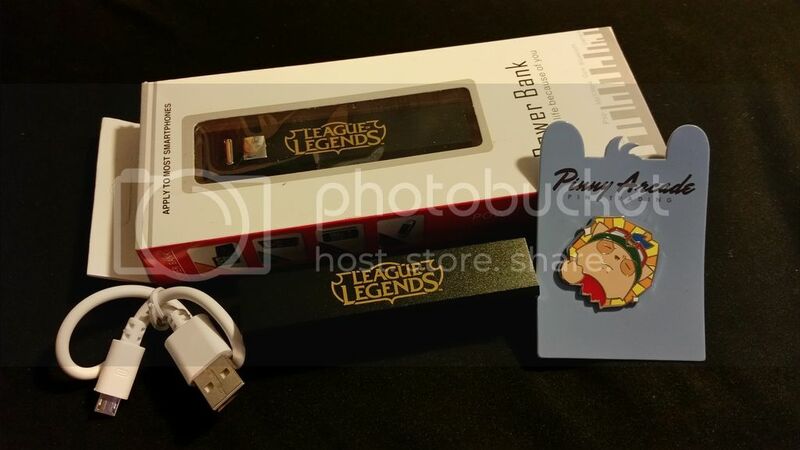 ﻿ League of Legends PAXEast 2016 Swag Giveaway!! DJ Pixyl brought back some League of Legends Swag from PAX East 2016 to give away to 3 awesome listeners! Check out the details below! On Wed March 4th 12am GMT (Tues March 3rd 8pm EST), DJ Pixyl will be on the air to give away the swag she brought back from PAX East 2016! She got her hands on 2 League of Legends Battery Power Packs and 1 Exclusive Teemo Pinny Arcade Pin. There will be 3 winners and the listener with the most points will have first pick. But... How do we win? Very good question. DJ Pixyl has a list of 10 League of Legends lore questions that she will be asking throughout her set. These arent your run of the mill, "I can google these in 2 seconds" lore questions. Each listener will have 1 minute to message DJ Pixyl the answer for a point and the listeners with the most points wins! But... what if I cant be in IRC? DJ Pixyl will be on the SIRadio Twitch, www.twitch.tv/siradiofm, streaming the early release beta of Overwatch! You can message her there as well! So tune in for your chance at some awesome League of Legends swag!